What if I want to return your product and get my money back? How much time does it take to deliver the product? Can I buy a tool for Excel separately without buying Ultimate Suite? Do you provide formal quotes before buying? How can I place a Purchase Order (PO)? Do you have a DUNS number and NCAGE code? How long can I use my license? How often are major versions published? We use the e-commerce service Digital River GmbH (MyCommerce Share-it) to process our orders and collect payments. They accept all major credit cards, check, PayPal and Purchase Orders. Yes, the purchase process is 100% secure and safe. Our orders are processed by the global e-commerce service MyCommerce Share-it that provides secure order processing worldwide. All information you provide during the order process is encrypted and protected via a secure SSL connection (https). We provide unconditional 30-day money back guarantee for all the products. If for any reason you want to get your money back, just let us know and we will refund your money in full, no questions asked. You will receive the license information in a few minutes upon completion of your order. Currently, we do not sell add-ins for Excel separately. All our tools for Excel can only be purchased as part of Ultimate Suite. A quote in the PDF format will be sent to you in 1-2 business days. The quote is valid for 14 days; if it is not processed within that period, it will be automatically cancelled. 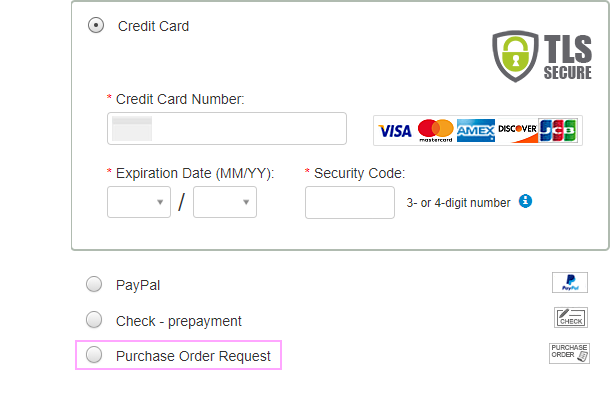 To turn the quote into a real order, click the "Process order" link in the email, choose the payment option on the order form, click "Buy now", and a few seconds later the order is completed. Select the product on our purchase page and click the Buy now button. You'll be automatically redirected to the Share-it! order form. Attach the Purchase Order and click the Buy Now button. Your PO will be processed within 1-2 working days, and the license information will be sent to the specified email address. Along with the license keys, you will get the detailed payment instructions. If we do not receive the payment within 90 days, your order will be suspended and your license key will be blocked until we receive the payment in full. Note. When placing an order, you can specify different billing and delivery e-mail addresses. In this case all payment information (including the invoice) will be sent to the billing e-mail address, while the product information (the license details and download link) will be sent to the delivery e-mail address. Yes, our DUNS number is 506860128 and the NCAGE code is SAQR3. After your order is processed, an invoice will be sent to the specified e-mail address. If you need a copy of the invoice at a later point of time, you can get it by logging into your Share-it! account. If you have any difficulties, please contact us with your order ID, and we will send you a copy of the invoice. Please enter RES-discount in the appropriate field of the order form. Please enter NPO-discount in the appropriate field of the order form. The license is lifetime, meaning you pay once and can use the purchased version of the product as long as you like. There are no annual or any other recurring fees. During 2 years after the purchase you get all minor updates (e.g. 2018.5, 2018.4) and major versions (2018, 2019) for free. After that, you can buy the next major version with a 50% discount of the regular price. It depends. Microsoft might release an Office version or an update that will require great efforts to support it. In this case, we will have to develop and publish the next major version of our products as well. For example, we had to build Ultimate Suite 2018 when Microsoft added several features to Office 2016 that made Ultimate Suite unusable. However, Office 2019 had so few differences with the previous updates of Office 2016 that we decided not to make a new major version. I am a professor at Keiser University (Flagship Campus). We at Keiser have been using a lot of MS Excel in our courses. There are some courses that uses advanced Excel. After doing some research I found the Ablebits Data addon to be useful. I have downloaded the trial version but have not had enough time to test. I am Sase Singh and I am the Program Director of the Information Technology Management Program. I am wondering if you have academic licences for your add-on or if you have versions for professors to try before moving to adoption. Thank you for contacting us and for interest in our product. Concerning the academic licenses, we offer a 10 % discount for educational institutions. To get it, simply enter the coupon code 'NPO-discount' in the appropriate field of the order form. Does your company have a W-9 to accept orders from schools? We do have the W-9 form. Please check your Inbox, we've sent it to you. a little clarification. As we are non-residents of the United States, we use the W-8 form. This form was sent to you by my colleague.